Hi loves! How are you today? I am having an awful neck pain, but I did some swatching this afternoon so hopefully the El Corazon Easter Egg collection will be shown tomorrow! 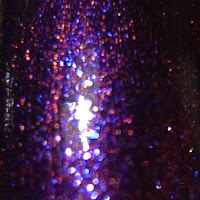 Today I have a gorgeous lacquer for you. I wasn't going to get this one, but then I walked through ICI Paris XL and they had 25% off.. and I bought it. Woops! I am not sorry though as this polish is gorgeous, beautiful, perfect. Chanel Taboo is a musthave! I needed 2 coats and it applied heavenly. Chanel's brush is one of my favorites, round brushes just work better for me! Finishing with a topcoat it dried to a nice shiny surface. It wore good too, 2 days without chipping or tipwear. Did you bust out the bucks and purchase this beauty? Or are you not convinced? Tell me in the comments! This looks gorgeous on you Deborah! I wore this again the other day! I want to keep it on my nails ALL.THE.TIME!! My husband and i inform leasing a car but also urge scheduling thru world wide web. carjet.internet. Discover in The Shop Start Becoming a member of! Comprehend will do it really work? Around. Thank you Nina, it is! Thanks sweetheart ♥. It is a stunner indeed :). Yes those little blue pops is what makes it so unique for me - thanks for your sweet words! It kinda is! But the weather pretends to be Autumn too haha. 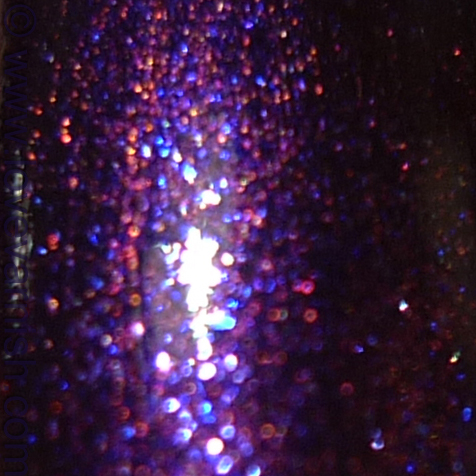 And the sunlight really compliments the sparkle ;). 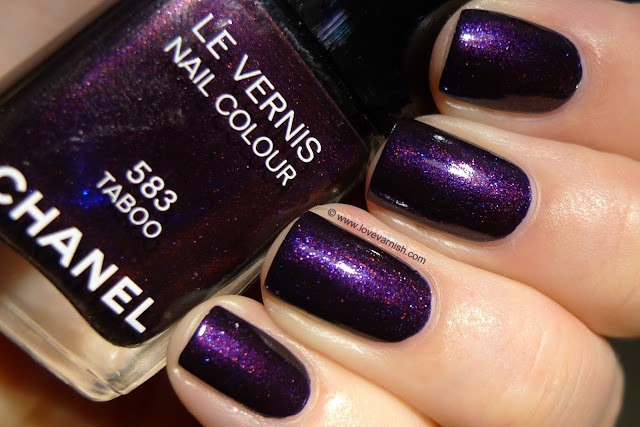 that is one drop dead gorgeous mani. I can see why everyone loves this lacquer.